Circumstances don’t make the man, they reveal him. Here is a quote from the Leicester-born philosophical writer James Allen in his book As a Man Thinketh at the outset of the 20th century that appears to sum up perfectly the harrowing ordeal that darkened the door of Leicester-born and bred snooker player Mark Selby by the end of it. Selby’s mother abandoned him at the age of eight, and his father died of cancer when he was 16 before he became a world champion at the age of 30. During his rise to the apex of his profession at Sheffield’s Crucible Theatre a year ago, Selby never abandoned hope. During his bleakest hour on the cusp of the new millennium, hope never walked out on Selby. As a Man Thinketh? As a Mark thinketh, in this particular case. Rather than wallowing in self-pity, drink and drugs to blot out the pain of such despairing loss, the young Selby got high on hours and hours of practice. His resolve, fortitude and an innate willingness to never give up make his accomplishment in hoisting snooker’s biggest prize above his head by usurping Ronnie O'Sullivan last May one of the more astonishing sporting feats of our times. Selby is a classic example of working class lad made good. He is an affable, well-mannered and courteous chap. He has had good breeding despite seeing his childhood and formative years vandalised by a series of unfortunate events. Bookmaker Fred Done, owner of the World Championship title sponsor Betfred, gave Selby a fatherly tap on the arm the other day as he revealed his pride in clamping himself to a tournament that attracts over 300 million viewers worldwide. Snooker's image is in safe hands with men like Selby promoting the sport. "My dad never forced me to become a snooker player," says Selby. “He was happy if I was happy. 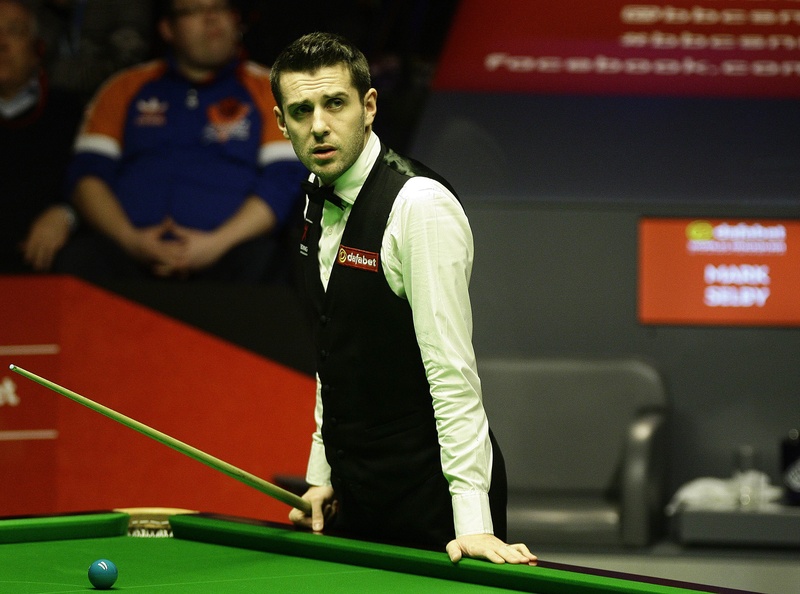 Selby will skip into the Crucible to face Norway's Kurt Maflin on Saturday morning to begin the defence of the title he won for the first time a year ago as a figure grateful with his lot in life. John Parrott, the 1991 world champion, described Selby as “granite” when he recovered from 10-5 behind before rendering the game’s finest player O’Sullivan impotent in what wound up as a quite remarkable but ultimately resounding 18-14 triumph. Around the time Parrott was snagging his first title at the Crucible, Selby was forced to watch his parents split up, and his mother Shirley abandon him and the family home. He has not seen or spoken to her since. In 1999, the year Stephen Hendry was winning his record seventh title in Sheffield, Selby’s dad David, a figure he describes as his “true inspiration”, died of cancer. It cut a darker outlook in his world than all the lights going out at the local snooker hall. “I’ve not seen my mum for many years. She still lives in Leicester, but I’m not really in contact with her,” explains Selby. “I have one brother. He sees her more than myself. He passes on messages and stuff, but there is not any prospect of reconciliation. I don’t see her as such. "It is tough, but I’m quite a stubborn person, and she left me when I was younger. “I’m at the stage that unless she comes to me, I feel that I don’t really owe her that much to go back to her and say to her: Why did you leave? Winning snooker tournaments does not heal such mental turmoil. There is no prosthetic for an amputated soul. The conservative feel to the RAC club in Pall Mall in London where we are speaking, an outpost where access is denied without donning a tie even if you look like you have been dragged through a hedge, is a million miles away from the New Parks area of Leicester where Selby was brought up. His old house is more Jeremy Kyle than Jeremy Clarkson. Selby lives in a pile in the countryside with a swimming pool ("I swim depths rather than lengths," Mark joked) with wife Vikki and newly arrived baby daughter Sofia Maria, but often revisits the area where he endured the “heartbreak” of his mother leaving. It reminds him never to forget his roots yet solitude in bleak house has provided Selby with a voracious appetite to prosper. He enters the Crucible as world number one having recently snared the German Masters and China Open. He is hoping to become the first first-time winner to defend the world title, Hendry, O’Sullivan or Steve Davis never managed it, but such a feat would not better the 12 months gone past. He became a dad for the first time in November - yet the pain of his formative years will never truly clear when snooker must have been a crying game. “It does affect me a little bit because you only have one mum,” says Selby. “With my father not here..but at the same time, I’ve lived that long now, I would never wish any harm to her. Selby is stocked up with life skills on what it takes to be a good parent. He promised his dad that he would win the world title when his father made his last request on a death bed. His dad was diagnosed with cancer in the September before passing away at the end of October. “My dad introduced me to the game, and took me around the country when I was a junior to all the tournaments,” says Selby. “He worked day in and day out to earn as much money as possible. “All he was doing was spending all the money on me to fund my career to give me the best chance in life. I respect everything he did for me. "I promised him I’d win the world title for him, and even today he is still with me. He continues to inspire me." At eight or nine he went to practice at his dad’s local social club. After a year or two, the club banned him because some members were bemused about losing to a kid. “I wasn’t allowed there being under 18 [due to alcohol licensing laws]," Selby explained. "The committee then said I was allowed to go in and play on a Saturday for two or three hours, but as I got better I started to beat a few of the locals. "I was knocking them off and it was winner stays on. I think they put a complaint in, and stopped me playing there which was a bit of a sour moment as my dad had been there for many years as a member. Malcolm Thorne, the late brother of the Leicester professional and snooker pundit Willie Thorne, saw potential in the aspiring Selby when Willie had his career mapped out as a journeyman. He offered him free practice sessions at his club, and funded his participation in tournaments. And now we have reached a juncture where Selby is an 8-1 shot to win back-to-back trophies simply because the snooker rules decree that it has never occured since the sport became a TV spectacle in the 1970s. O'Sullivan has been partaking in pugilistic sparring sessions ahead of the showpiece tournament, but would probably rather get knocked out in a boxing ring than having to sit through another best-of-35 frame joust with Selby. 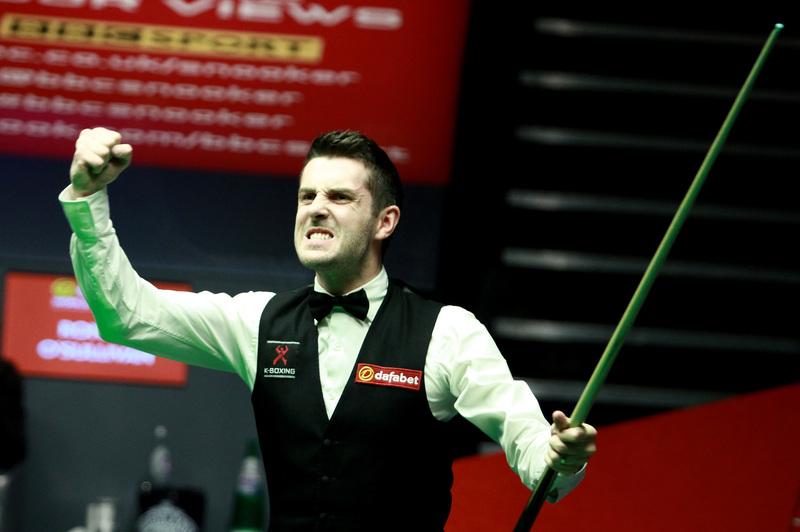 If O’Sullivan is snooker’s superman, Selby possesses the kryptonite to unseat him. There is a natural enmity and sporting tension between the two men. Coming from a player who has collected £685,866 in prize money alone over the past two seasons, Selby cannot understand O’Sullivan’s complaint that there is not enough cash to go around. The World Championship has a prize pot of £1,214,000 million and a £300,000 cheque for the winner. 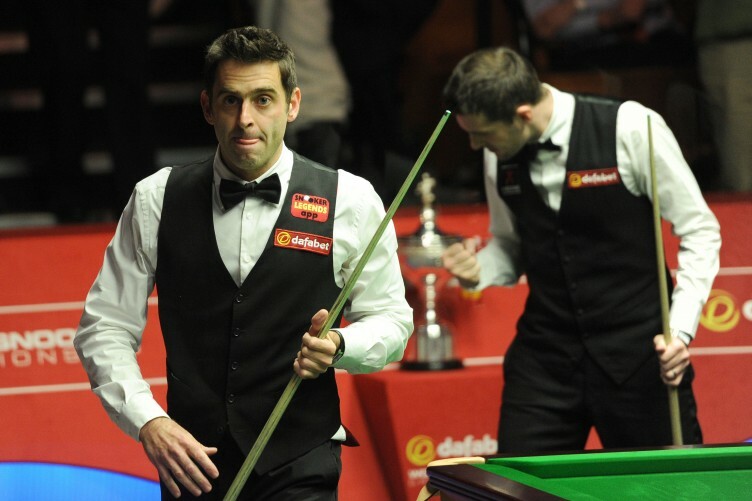 “Ronnie comes out with some statements that I think you have to laugh off,” smiles Selby. “Whether he does it to get the media talking, I don't know. O’Sullivan somewhat churlishly compared Selby to the renowned Cliff ‘The Grinder’ Thorburn after last year’s final, irate that he was suffocated by the sheer bloody-mindness of the bloke opposite him. But it is fairly bogus to compare Selby to the Canadian. When Thorburn picked up the old pot in 1980, there were 10 centuries recorded at the Crucible. The highest total of 83 was recorded in 2009, and 58 last year. Selby is more like a Steve Davis of the modern era. Selby is known as the ‘Jester’ because the word rhymes with Leicester, and perhaps also because of the dash of light-hearted irony when it comes to such a mild-mannered chap. It is as a misleading moniker as suggesting he is a slow player simply because he peforms at a less ferocious pace than O’Sullivan. While ‘the Rocket’ played on a full-size table at the family home as a kid, Selby was being tossed out of a social club for being too good. But Selby's mantra dictates that you should never give up. Never give in. If the top two seeds come across each other in the final once again, it would make for more compulsive viewing, less than 48 hours after Manny Pacquiao and Floyd Mayweather have the world watching them at the MGM Grand. “Not only do you have to beat Ronnie, you also have to beat the crowd when you play him,” says Selby. “That doesn't concern me. If you can't get focused for a world final and block the crowd out, there is something wrong. Every time I have played Ronnie, I always try to play one frame at a time, no matter what the scoreline is. I always play him like the score is 0-0." Selby continues to practise six hours a day and cites the darts champion Phil Taylor, 54, as an example of what practice can achieve. With O’Sullivan, 39, favourite for this event, Selby hopes he can have another decade of trying to at least double his lot at the Crucible. “Hendry’s won his last world title at the age of 29. If you stay fit and focused, I’d like to think I have another 10 good years left in me. This is an exciting time for the sport." In snooker, hours of devotion to potting and plotting success produces results for men like Mark Selby. But there is a greater wisdom at work, perhaps sent from a higher power, in Selby's commendable survival instincts that are worth noting as we all strive to discover a better place. Desmond Kane was speaking exclusively to world champion Mark Selby, who begins the defence of his World Championship on Saturday morning at 10am BST when the 17-day Crucible festival begins. His first round opponent is first-time qualifier Kurt Maflin. You can watch all the action LIVE and in HD on Eurosport starting with Selby's Saturday opener, all the way to the two-day final on May 3 and 4.